The annual Gala Dinner and ‘Personality of the Year’ awards is a popular black-tie event that traditionally recognises the achievements of business leaders – British and Brazilian – who have been instrumental in forging closer commercial ties between Brazil and the UK. 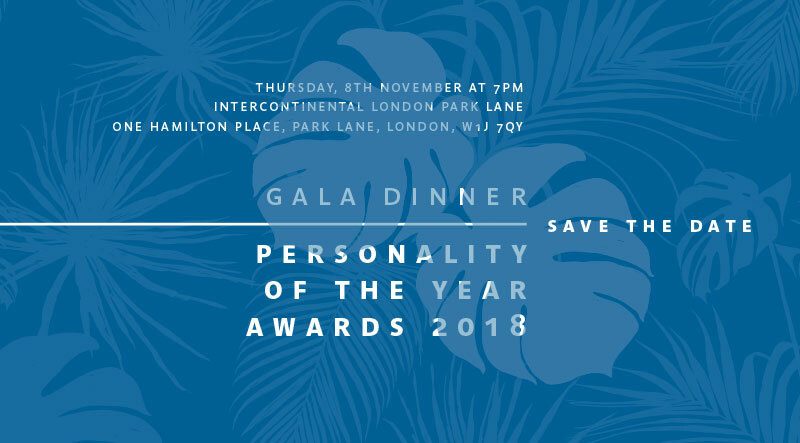 This year’s recipients of the Personality of the Year awards will be the Co-chairmen of Natura &Co: Luiz Seabra, Guilherme Leal and Pedro Passos. The keynote speakers at the event will be Brazil's finance minister, Eduardo Guardia, and the associate editor and chief economics Commentator of the Financial Times, Martin Wolf. The Gala Dinner is the perfect occasion to entertain clients and network with 300 people from the international business, financial, legal, academic and diplomatic communities, many of whom play important roles in the Brazil-UK economic and political relationship. This year the event will showcase the best of Brazilian gastronomy with a menu designed by Brazilian chef and BBC series Masterchef the Professionals contender, Luciana Berry. Tickets are now on sale. Please note that all tables are now SOLD OUT.